What is a New Faith Community? Remains connected and accountable to the Mississippi Annual Conference of The United Methodist Church. Click here for a list and description of some of the models/strategies for creating a new faith community. Find additional resources and tools below to help you discern your calling, discover your gifts and your community's gifts and challenges, and take the next step. Why Start New Things for New People? The Faith Community Office offers grants to churches that submit an accepted proposal of a New Faith Community it intends on starting within the year of receiving the grant. The proposal must be accepted and approved by your District Chief Missional Strategist, FCF Director, FCF Committee and Bishop Swanson. Click here to apply. The approved church must complete and submit, a report on the status of the New Faith Community, to the FCF Director and the District Chief Missional Strategist monthly. Do your actions inspire others to: ~ dream more ~ learn more ~ do more ~ become more? Be willing to engage in the discernment process to explore and assess their calling. 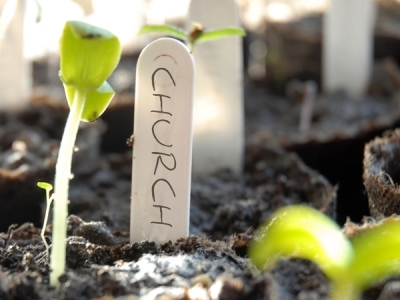 Are you just starting to consider church planting? Find the resources here to discover your gifts and what steps you need to take if you sense God's call. After taking the initial assessments (above), if still interested, contact your district Chief Missional Strategist or pastor. For additional Path 1 documents and information, visit their website at www.path1.org. A Fresh Expression is quite simply a fresh expression of church. Fresh Expressions is a movement that is cultivating new forms of church - the presentation of the gospel and church in context - alongside existing congregations in order to reach changing, diverse cultures and world. At its heart, Fresh Expressions is about empowering and equipping God's people (LAY and/or CLERGY) to develop creative expressions of church that can reach the increasing diversity of our society in order to share a message that is transformative. Learn more at https://www.mississippi-umc.org/freshexpressionsms. Assess the community in order to identify the place God has called you to plant. A community analysis/assessment includes but is not limited to, using a full array of demographic tools, site visits, economic development office plus other community interviews, the church’s 10-year metrics data and other available resources. Click here for more information. Want to receive tips, updates and details on events pertaining to new church starts and church revitalization?